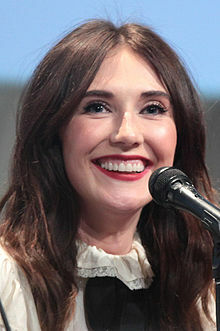 Carice Anouk van Houten (Dutch pronunciation: [kaːˈris aːˈnuk fɑn ˈɦʌutə(n)]; born 5 September 1976) is a Dutch actress and singer. She was born to writer and theatre-radio producer Theodore van Houten. Her first leading role in the television film Suzy Q (1999) won her the Golden Calf for Best Acting in a Television Drama; two years later, she won the Golden Calf for Best Actress for Undercover Kitty (2001). She gained widespread recognition for her performance in Black Book (2006), the most commercially successful Dutch film to date, for which she won her second Golden Calf for Best Actress, in addition to nominations from the Chicago Film Critics Association, the European Film Academy, and the Online Film Critics Society.